I’m writing from a brighter time. It is October and the sun is golden. Solar panels are sucking in the clear skies, house at 98 percent. A couple snowstorms have passed through and melted; warm Indian Summer days keep sliding back in. I know what’s coming. It’s like the obligation of tides: Winter will happen. 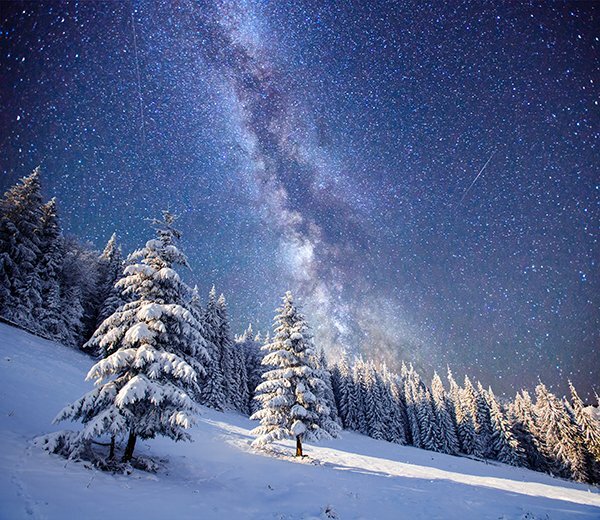 When it comes, December and January will be drifted in snow, nights so cold and clear the stars feel like they might crack in their settings. The sun at our longitude of 38° is in the sky five and a half fewer hours than summer, fourteen and a half hours of dark between dusk and dawn. I pay special attention to this change because the house is on solar power, with a backup generator that has a habit of failing. Pulling a cord at below-zero temps and getting nothing, engine hardly turning over, you think of when the sun most of the time and you could keep the house lights on all night long, walking around barefoot like nobody gave a damn. I’ve been living this way for more than half my life, since the early 90s in a ten-by-ten cabin above Dallas Divide, and before that a fine canvas tipi erected back in the ponderosa pines on Loghill Mesa. My electrical needs back then were served entirely by a bubble-eyed 1980s vintage solar panel as narrow and tall as me. With kids and a wife in a house outside of Crawford, Colo., it became two panels and then four, electric lights, computers, washing machine, fridge. No matter how many panels we put up, the dark months always sent us into blackness, nights hooded in obsidian. Inverters blew or batteries went too low, and in response, we decorated in flickering lamplight, glass globes and candles placed on countertops, tables, and shelves. This is called decking the halls. Otherwise, the halls in winter become gloomy, sealed in, doors shut, corners darkened. Winter Solstice will come December 21, the longest night of the year. It is when the Northern Hemisphere dips away from the bright center of the solar system, leaning as far as the planet can into space. Last winter the generator went down around the solstice. The batteries in the house fell asleep, too low to power anything. Not even the phone would ring. For those many long nights, I put out a constellation of oil lamps, lighting up the kitchen and the writing table. Flickers through wood stove glass sent shadows across the room and up the walls. There are many ways to call in the new season, to recognize where you are in the turn of the year. These days, I do it with oil lamps. Sometimes I go out for it, watching stars glide past from the hood of my sleeping bag, lying motionless on the ground, the frozen high-desert radiant around me, snow and sandstone glowing under moonlight. On long nights out I play a game, watching airplanes blink across the breadth of the sky, seeing if one will pass directly through a star. I get a point for every hit, a ding on a slow, quiet pinball machine, maybe one or two a night. It’s something you do when in a bag for thirteen hours, temperatures nearing single digits. Planes will stop coming around two in the morning and it’s only stars and the dutiful arc of satellites. Sometimes you swear you can see all the stars moving, the sky turning around you. This is a way of life we know from our oldest generations, a memory in our genes of how we used to live. Anywhere from Colorado north you’d hole up for winter. The earliest human architecture in world history appears in the north. Ice Age pole-and-hide structures spread across the Russian plain and Siberia 25,000 years ago, bound for the land bridge. Some of their frames used mammoth bones instead of bent limber branches, some late Pleistocene habitations in Ukraine made entirely out of mammoth bones, the skirt around the bottom holding down skins made of nearly 100 mammoth jawbones. Hides and shelters were the only way people could survive the far north. The earliest people in Tasmania 36,000 years ago hunted wombats and wallabies and used bone points which were hafted onto wooden shafts. About the same time, in Borneo, Paleolithic people were fashioning stingray spines into barbed spearpoints and used them to take down wild pigs, monkeys, turtles, and civet cats. No evidence of clothing or stitch-work has been found. Farther north, people hunted larger animals, and their tools became more robust, made of knapped bone and rock to match the size of their prey. They needed skins and furs. At an Upper Paleolithic site in southern Portugal, fire-cracked rock and stone anvils have been found among the systematic smashing of bones from deer, bison, reindeer, and horse, indicating marrow rendering. Up to Alaska and the Bering land bridge archaeologists have found Ice Age sewing needles made of mammoth ivory and tiny stone blades for precise cuts, indicating tailored clothes that would have been drawn up tight. For a species hailing from Africa and warmer parts of Indo Eurasia, winter nights up here would have been notably long and dark. They watched fires flicker on hide walls, stories told, families gathered with skins and robes. A far arm of the galaxy is laced from horizon to horizon. The constellation of Orion chases the beautiful Pleiades nonstop, her gathering of bright, newborn stars clutched in the sky like a legend. You are in winter’s cave. This is the sky people from northern latitudes have watched for countless generations. Even if you hurry through your day between offices and city streets, you see how low the sun is, and how long the night is. This is when you paint the walls with your dreams, and watch taillights as they pass. I was actually glad when the house’s system conked. I got my season back. No email, no undying glow of a laptop. I made dinner in skeletal light and wrote by hand, lapsing back into the form like a gift. When I slept, it was near the fire, curled under blankets, stars dazzling through every window. I carry countless winters in me, bloodlines Germanic and Welch, northern rituals, the leaving of the sun and its eventual return. I come from Christmas and decking the halls, evergreens cut down and put inside, decorated with lights and the glint of tinsel. My people, like many around the world, rendered animal fat and gathered around stone lamps waiting out the hollow rind of winter. We knew it would always come. No prayer could stop it. You did what you had to, taking up the hem of darkness and covering yourself. Though October is richly apportioned and the sun is low and brilliant, I find myself leaning toward winter. It is the same way come February that I lean toward spring, muddy roads and budding leaves to come. The planet pulls and for now, the dark rises. You can’t live outside of the tropics without bowing to it. I look forward to the annual blackouts, the oil lamps set out, nights of memory, story, and sleep so deep you forget to dream.